Colorado Governor John Hickenlooper has announced that Sue Birch will leave her role as Executive Director of the Department of Health Care Policy and Financing (HCPF) to become the Health Care Authority Director for Washington State. Birch's departure marks the third department director to leave the governor's cabinet in just over a month. Last week, Shalin Bhatt, Executive Director of the Department of Transportation, announced he was leaving to accept a private sector opportunity. In late September, Ellen Golombek announced she was stepping down from the Department of Labor and Employment to join a national workforce advocacy agency. "Sue has ushered Colorado through incredible changes to our health care system," said Hickenlooper. "With her guidance, we've expanded coverage for all Coloradans, streamlined services and worked to contain costs. She has been an integral part of my Cabinet and will be missed." 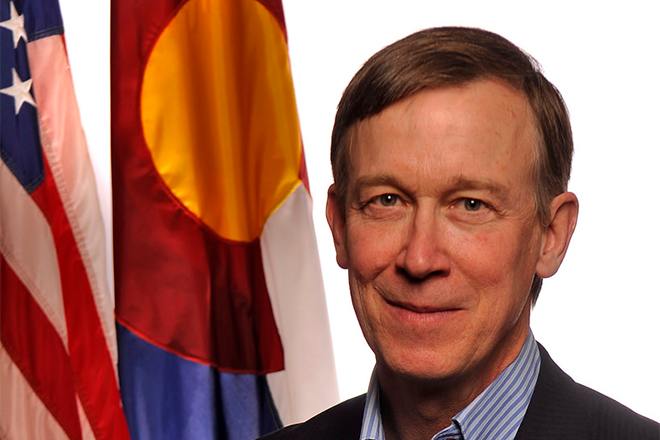 Hickenlooper appointed Birch to lead HCPF in January of 2011. She was among the first of the Governor's Cabinet appointees. "It's been an honor to serve Coloradans over the past six and a half years," said Birch. "I'm proud of the steps our state has taken collaboratively with partners, providers and other stakeholders to be the healthiest state in the nation. I'll miss Colorado but am excited to continue working toward health system transformation." Under Birch's leadership, Colorado has consistently ranked among the top states in health system performance and long-term services and supports on various national scorecards. Birch oversaw implementation of the Affordable Care Act (ACA) including the expansion of Health First Colorado (Colorado's Medicaid Program) and served as a board member of Connect for Health Colorado. Prior to implementation of the ACA, Colorado's uninsured rate was 14.3 percent, and now it's 6.5 percent. An estimated 600,000 Coloradans gained coverage since 2013 and many of the newly insured were eligible for Health First Colorado. Birch oversaw other changes to eligibility for public insurance programs including launch of the Medicaid Buy-In Programs for Working Adults with Disabilities and Children with Disabilities, the programs now benefit 7,462 Coloradans and 12 months of continuous coverage to children enrolled in Health First Colorado and Child Health Plan Plus (CHP+), currently more than half a million kids can benefit from this policy. Over Birch's tenure, significant modernizations to medical assistance eligibility systems, online application and improvements to consumer experience were made, most notable was an award-winning, real-time eligibility functionality and a mobile app. In 2016, due to improvements in processing of applications, a decades old lawsuit related to medical assistance application processing times was dismissed. Colorado was awarded numerous competitive grants to support innovation from the Centers for Medicare and Medicaid Services such as funding to improve the infrastructure of home and community-based services, the Comprehensive Primary Care (CPC) Initiative, Transforming Clinical Practices Initiative and $65 million for implementation to support integration of physical and behavioral health through the State Innovation Model program. Birch led work to improve the member experience including launching a member advisory council, improving member communications and renaming the Medicaid program to Health First Colorado. Having been a public health nurse, Birch brought a prevention focus to administering programs. Other milestones of Birch's tenure include multiple improvements to long term services and supports, addition of an adult dental benefit, tighter opioid prescribing and dispensing policies and improvements to the way care is delivered to more than a million Coloradans through the Accountable Care Collaborative. Birch will leave her position in November.